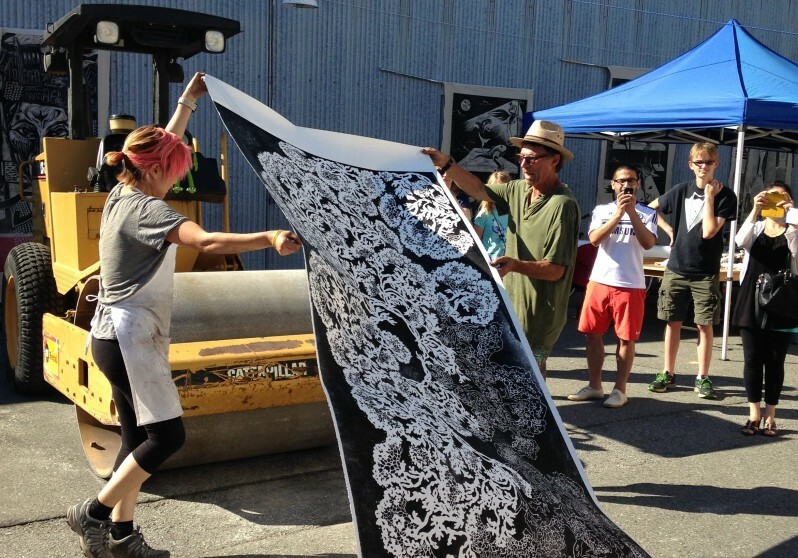 Soo Sunny Park participated in the Big Print Project, in which large-scale pieces of medium-density fibreboard (MDF) were cut, inked, and printed onto fabric and paper, using a steamroller. Each artist made four prints of his or her artwork, two on paper and two on fabric. Park’s subject was a continuation of her work which she had started at a residency in Solf, Finland in the summer of 2013, where she had become interested in the process of lacemaking and the patterns that characterize lace made in that particular Swedish-speaking region of Finland. 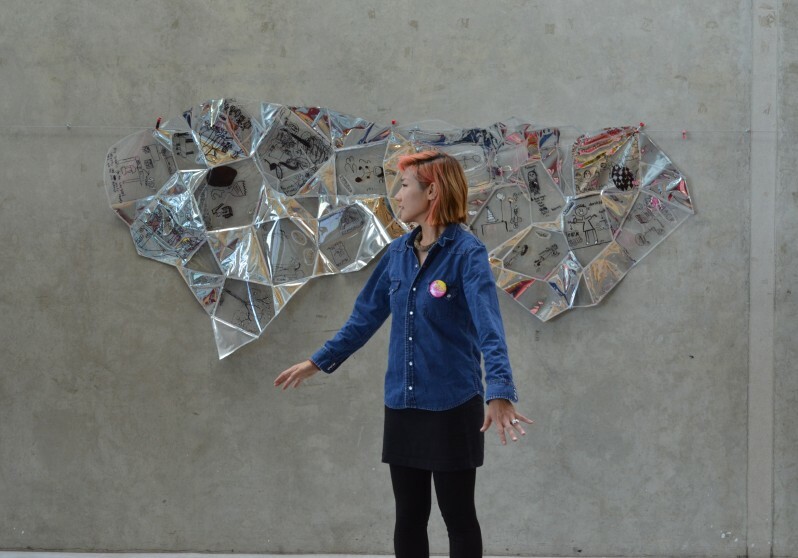 For her MDF artwork for the Vancouver Biennale, she generated a drawing from some of the patterns she had been working with in Finland, with the result being a lace-like organic form. 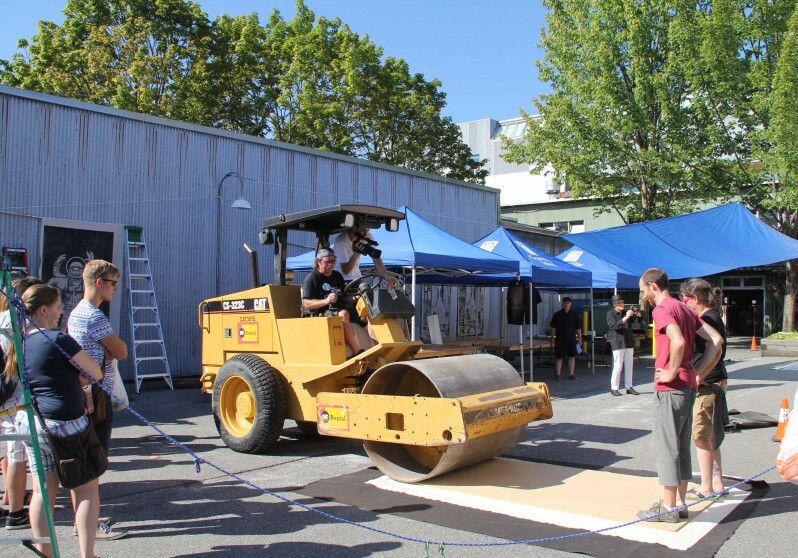 The Vancouver Biennale and residency artists participating in the steamroller project are especially thankful to Peter Braune, owner of New Leaf Editions who organized the Big Print Project in 2014.